Release the Hounds offers private and group off-leash dog walking services for New Westminster pups. Our professional dog walkers ensure the entertainment and exercise required for your dog’s well-being as they’re walked beyond the block and out on a memorable adventure. We offer convenient scheduling and unparalleled safety to provide you peace of mind while your dog is in our care. Check out our dog walking rates to find the perfect walk for your dog in New Westminster. Our affiliation with New Westminster dog services, from trainers like Annika McDade to the Central City Animal Hospital also ensure your dog is well cared for in every way. 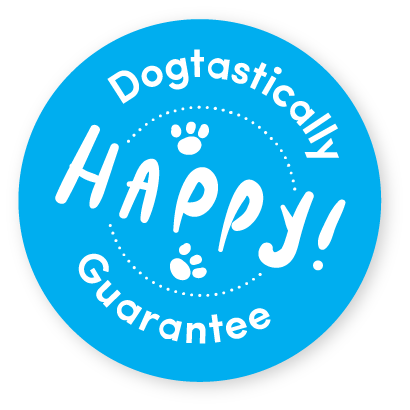 This whole dog approach to happiness starts with New Westminster’s #1 recommended dog walking company. Let us be there when you can’t be. Your dog will embark on adventures through forests, along the Fraser River, Burnaby Mountain, or play at Burnaby’s best off-leash dog parks on the 1.5 Hour Explorer. Perfect for high endurance dogs, our professional dog walkers will provide your dog with plenty of trailblazing to burn off all that extra energy in a fun and safe environment. The Explorer dog hikes are available Monday to Friday and, depending on your geographic location, are available in both the morning and afternoon. Morning Adventure hikes: pick-ups begin between 8:30 – 10:30am. Drop-offs are between 11:30am – 1:30pm. Afternoon Adventure hikes: pick-ups begin between 11:30 am – 1:30pm. Drop-offs between 2:30- 4:30pm. *Please note that due to potential traffic, construction, or weather constraints, all pick-up and drop-off times are approximate. We know you love walking your dog as much as we do, so we’ve compiled a list of all the wonderful dog parks in the New Westminster area for some outdoor bonding sessions. Enjoy! Description: The West Side dog area park utilizes Ministry of Transportation land that hosts this spacious dog enclosure that features a grass & gravel surfaces, drinking fountain, park benches, waste receptacles, trees and spectacular views of the Fraser River and Queensborough bridge. Please note that all New Westminster off-leash dog parks require dogs to be well behaved, have a current license, be leashed outside of off-leash areas, and their owners must clean up after them; no exceptions. Did we miss your favourite New Westminster dog park? Please email us with the park name, location, and a brief description, and we’ll add it to our list. Serving New Westminster and Burnaby, a full-service clinic which is on-call for emergency service 24 hours per day, 7 days a week. Central City Animal Hospital offers a variety of services, including vaccinations, spay and neuter, surgery and radiology, dentistry, general medicine, skin care, and prescription pet foods. Voted best in Burnaby for 14 years in a row. Since 1987, South Burnaby vet offers services including housecalls, medical, diagnostic, surgical and preventive health care needs. New Westminster’s Triple Certified Professional Behaviour Consulting & Dog Training Services. Flexible and customized services from a trainer who has the experience and is an excellent communicator. Offers group classes and private one on one training. Basic training is without the use of food treats and only humane methods are used to achieve cooperation. The British Columbia Society for the Prevention of Cruelty to Animals (BC SPCA) is a not-for-profit organization dedicated to protecting and enhancing the quality of life for domestic, farm and wild animals in British Columbia. It is an especially great organization to get involved with to either volunteer, fundraise, or if you are looking at expanding your family, adopt/foster. Although the SPCA does not have a New Westminster branch, we encourage you to connect with the Burnaby branch: Visit the Burnaby SPCA. The New Westminster Animal Welfare shelter provides a temporary home for animals until a responsible life-long home can be found. While at the shelter, animals receive quality medical care, nutrition, socialization, exercise, and behavioral training. If you are interested in volunteering or donating to your local community animal shelter, visit their website Visit the New Westminster Animal Welfare Shelter.